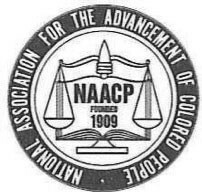 The Savannah Branch of the NAACP and Tremont Temple Missionary Baptist Church located 1110 Martin Luther King, Dr. will host a Voters’ Registration Drive on Saturday, September 29, 2018, 9am- 2pm in the church’s parking lot on the corners of MLK and Duffy Sts. You MUST be registered by October 9, 2018 in order to vote in the November 6th mid-term election. Enjoy music and refreshments while you register. For details contact E. Katherine Jackson, (912) 659-0136.